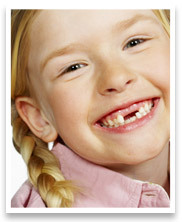 Do you believe your child requires Orthodontic treatment? If so, we generally recommend that you see Dr. Little as early as possible. Age can impact a number of different issues within the mouth and there are a number of elements for you to consider. Do all baby teeth need to be lost before treatment? Orthodontic treatment will usually not begin until all baby teeth have been lost and the adult teeth have erupted. This is the case so treatment is permanent. Some early intervention may be carried out to minimise future treatment. Seeing Dr. Little at an early age does not necessarily mean treatment will commence immediately; however, getting a professional opinion from observing the developing teeth will ensure the best possible treatment when the time comes. What investment will be required? When treatment is commenced at the optimal time, expenses can be minimised. Dr. Little can determine the optimal time through recurring observation of the teeth and jaw. For more information on Children’s Orthodontics, please contact West Hills Family Dentistry Center today on (503) 291-0000 or click here to email us.